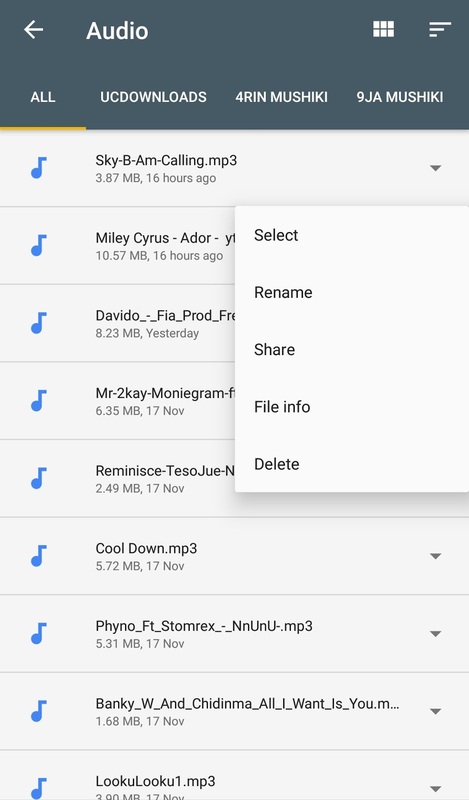 The Google Files Go is a simple, but yet powerful file manager app developed by Google, to help android users deal with the task of managing space in their smart phones, in a more simplistic manner. It helps you free up space on your phone, find files faster, and share them easily offline with others. 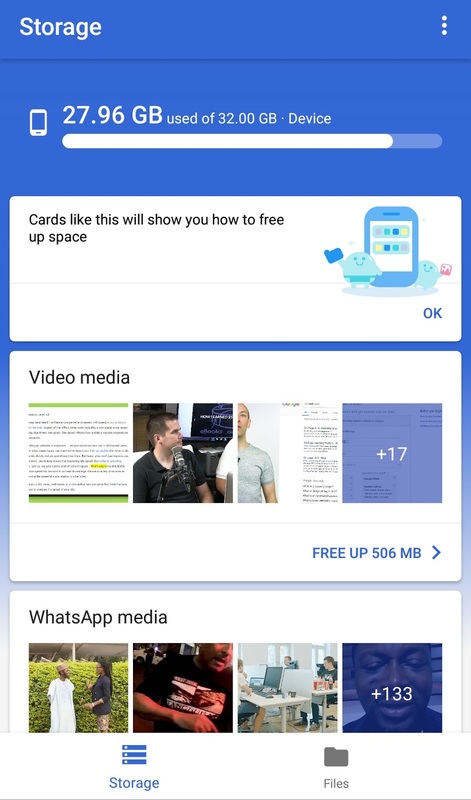 On the Home page of the app, it gives you highlight of your device storage, and below it are card-like tabs, arranged vertically one after the other, that gives recommendations to help you free up space. It shows unused apps from the last 30days, apps with large cache or unnecessary files and duplicate files. So all you have to do, is tap on any tab of your choice, choose what to delete, and what not to delete, and you're done. 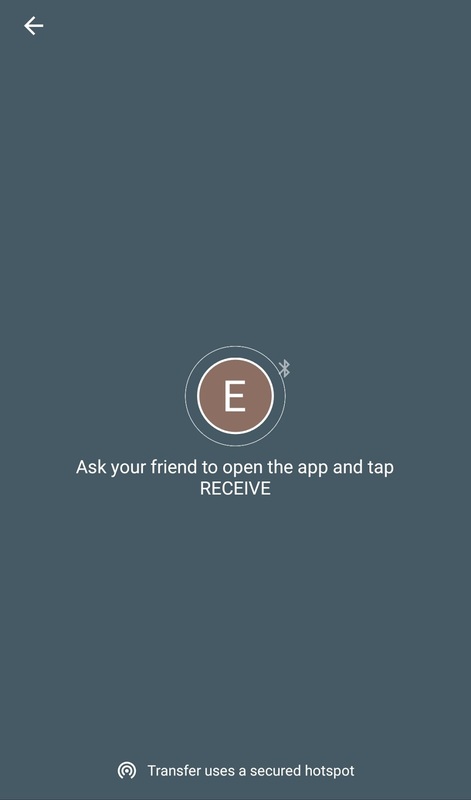 At the bottom of the app, is a Files tab, with a default Files Manager view, with files divided into categories, which includes; Downloads, Received Files, Apps, Images, Videos, Audio and Documents. 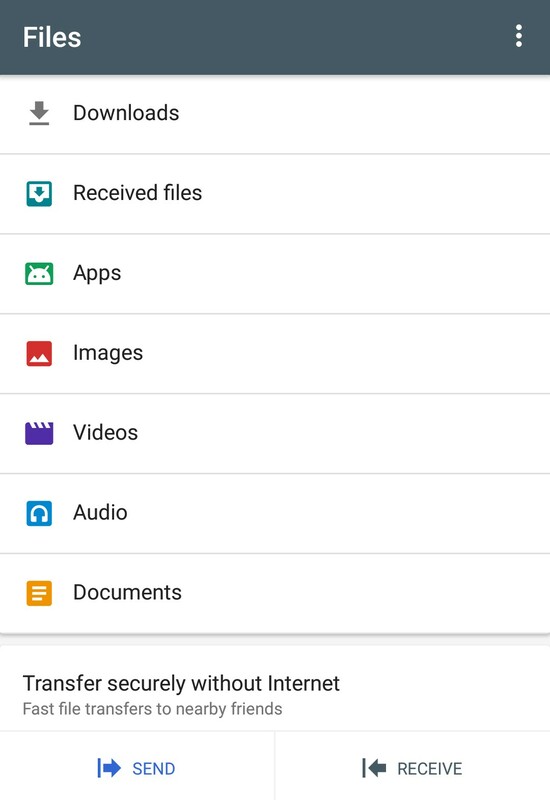 You can as well delete files from this section, and you can also decide to backup your files to Google Drive or Microsoft Dropbox before deleting them, by using the Share button. NOTE: For File Sharing to take place, both parties must have Files Go installed in their devices. To download the Files Go app, please Click Here. 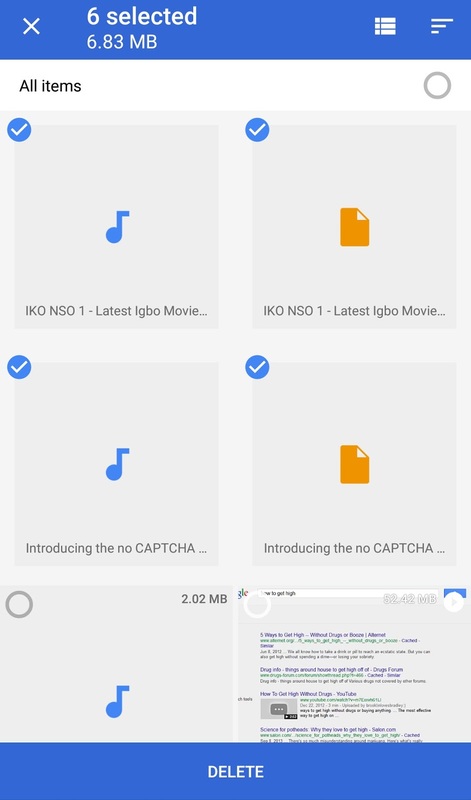 Read Also - Another Review And Quick Walk Through Of The Google's Datally Android App, The Simple But Best Data Saver App, You Can Ever Get On Your Android Smart Phones Right Now.